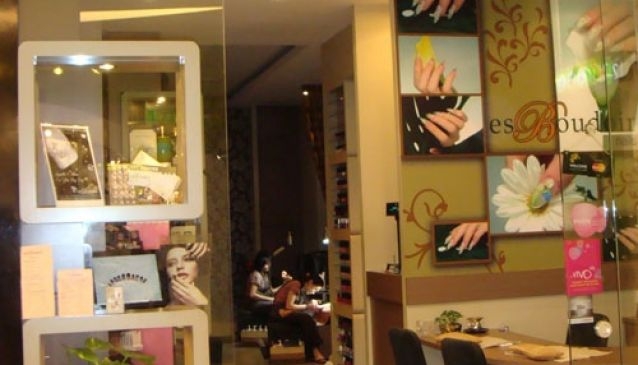 Esboudoir, first opened in Vivo City in 2006 as a full-fledged nail salon, which offers a whole host of nail care treatments, and professional services including natural nail care, gel polish and exclusive spa treatments The nail technicians carry over ten years of experience and are more than qualified to ensure that your nails receive the utmost care. Instead of a usual water soak, their classic manicures and pedicures include a milk bath that will rejuvenate and de-stress your senses. Additionally, their individual design stations were made with the sole purpose of providing comfort to their customers as they sit back and allowed their nails to be pampered.